Urban Strife – A “Terrifying” interview! At first sight Urban Strife seems a very strange and complicated game. When I stumbled on it, a couple of years ago, I thought “Wow, why nobody tried to realize a game like this before?“, because the ideas behind this project were – at the same time – simple and brilliant. So, now that the game is getting closer, I decided to get an interview with the developers. Here’s what they said during our little chat. 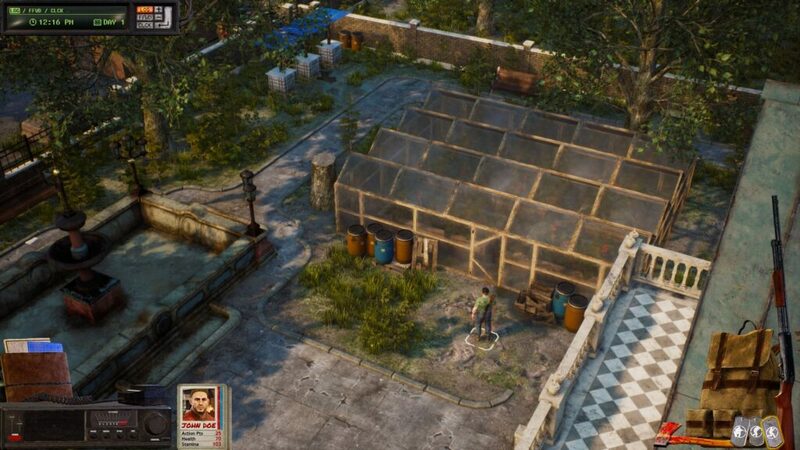 1) In the past, excellent zombie games like Dying Light sacrificed the story and the characters for the gameplay. How important will be the narrative factor in Urban Strife? Urban Strife has been built on a solid turn-based game with combat that made quite an impact at our Gamescom booth a couple of years ago. We took that game and spent the last two years building a massive RPG layer on top of it – multiple intrigues, branching dialogues and banters, twisted characters with development trees, the whole deal. And being in the business of building our dream game, we went one step further and added all the survival, base building and crafting elements we ever dreamed to have. So you see, there was no need to sacrifice anything but our sanity – we decided to have them all! 2) The world of zombie videogames seems to be quite overcrowded, right now. Which are your original ideas behind your game and how can it stand out from the others? Zombies, aliens, south-American dictators, vampires. Everything has been used and abused. But try and make a pack of zombies behaves decently in a turn-based environment and you will quickly discover how few games have done it properly – if any. So, yes, we’ve added a lot of new stuff to the experience, from a new crowd A.I. that moves hordes of zombies at once without them getting lost (yet allows each of them to make individual decisions) to a new ballistics system that has bullet calculations for each pellet in a 12 gauge buckshot. We also gave every NPC his/her own responsive schedule that changes when your actions transform their world. Success and failure in USG is not just a text on the screen, but direct influence on the NPC lives, bringing immersion to an unprecedented level. 3) G. Romero once said “A zombie film is not fun without a bunch of stupid people running around and observing how they fail to handle the situation”. There will be room for irony in your game or do we have to expect a persistent dark mood? Our people are normal Joes and Janes, with all the flaws you can expect from ordinary people put in extraordinary circumstances. They’re far from being politically correct, they’d rather save their arse than the world, they hate and they love, and they curse and get offended by your foul language, they say dumb things and have smart ideas. If you haven’t laughed and cried (discreetly, inside) at least once during your play-through, you might say we failed. But you will. 4) In the post-apocalyptic videogames, one of the most fascinating and, at the same time, tricky mechanics is the survival element. Often the introduction of this feature risks making the game frustrating or even boring. How do you think to handle these elements in Urban Strife? We feel like no element should be introduced to make you feel like the game is boring just for the sake of having more hours under completion rankings. You will need to scavenge materials and build your own tools when you start out, but play your politics card right and you can later pass on the boring grind to the shelter population. Unless you decide to spend the night with the girls down at the Shady Lady gentlemen’s club and some old lady dies because you were supposed to go back with her heart medicine. Then you might be back to cleaning the cages down at the rat farm without any help. 5) Now let’s talk about enemies: how many enemy types we will encounter during our adventure? And above all, will we fight against both humans and monsters? Zombies are omnipresent, deceivingly easy to defeat, until you’ve triggered a horde. We’ve kept their variations to a minimum, but if you happen to come by one or two undead soldiers in full body armor, blame them not us. And of course, there are the nomads, the looters, the scavengers and the faction minions. All humans trying to scavenge a meal, some in more violent ways than others. How you deal with them is always up to you, but desperate humans are always a dangerous enemy. 6) Someone once said “Chance is the sovereign deity in child-bearing”. What do you think in this regard? Will there be randomly generated contents in Urban Strife? And, if yes, what kind of content will be randomly generated? Much of the world in the first episode is handcrafted. How the story and the world change depends on the player’s choices. Rather than seeding 100 meaningless maps, we will give the player a set environment that he/she can dramatically alter. A game of chess is always played on the same board, with the same pieces, yet no two games are alike. But we do have some RNG when it comes to loot generation, just enough to keep you on your toes, with some special items making random appearances to make your friends green with envy. And we do have side missions randomly generated to keep your travels interesting so you won’t get bored when you replay the game trying to get new faction allies. 7) Looking at the screenshots, it’s almost impossible not to notice a resemblance to some cornerstone of the past like Jagged Alliance and the X-Com series. Besides these ones, are there other sources of inspiration? We are die-hard fans of Jagged Alliance, Fallout, Wasteland, X-Com (and XCOM) with hundreds of hours sunk into these games. Some of us have been involved with these communities, as regular users, for years and years and it is normal that you would see these games being reflected in USG. But we’re equally enjoying a lot of other flavors of gaming, from Dead State Reanimated to State of Decay, from Commandos Behind Enemy Lines to Shadow Tactics and from This War of Mine to The Long Dark to mention just a few. We’re suckers for strategy, apocalypse, and survival and we’re proud to admit it. On the other hand, our professional background has been built working on Ubisoft AAA games such as Assassin’s Creed and Tom Clancy titles and thus, willing or not, there’s bound to be an influence from there too. 8) One last – and obvious – question: when do you think your marvelous zombie apocalypse will arrive? Expect a small iteration as an Early Backer Build very soon, with a good taste of the gameplay. We have a marketing budget of zero and thus we need to let the game speak for itself. We plan to have an influencer reward campaign set up, with an accessible entry threshold, so everyone who will be interested in checking out the game and spreading the word about it will gain instant access to a key and even profit from helping out. Episode 1 should be ready later this year, but our early adopters will be able to follow its development step by step, since every major addition will first be added to the EBB. In conclusion, I want to thanks White Pond Games for the interview and for the time they spent to answer my questions. So now what else is left to say? Well, if the idea of an illegitimate son between Jagged Alliance and Dead Island sounds exciting to you then… stay tuned and prepare to say goodbye to your free time. 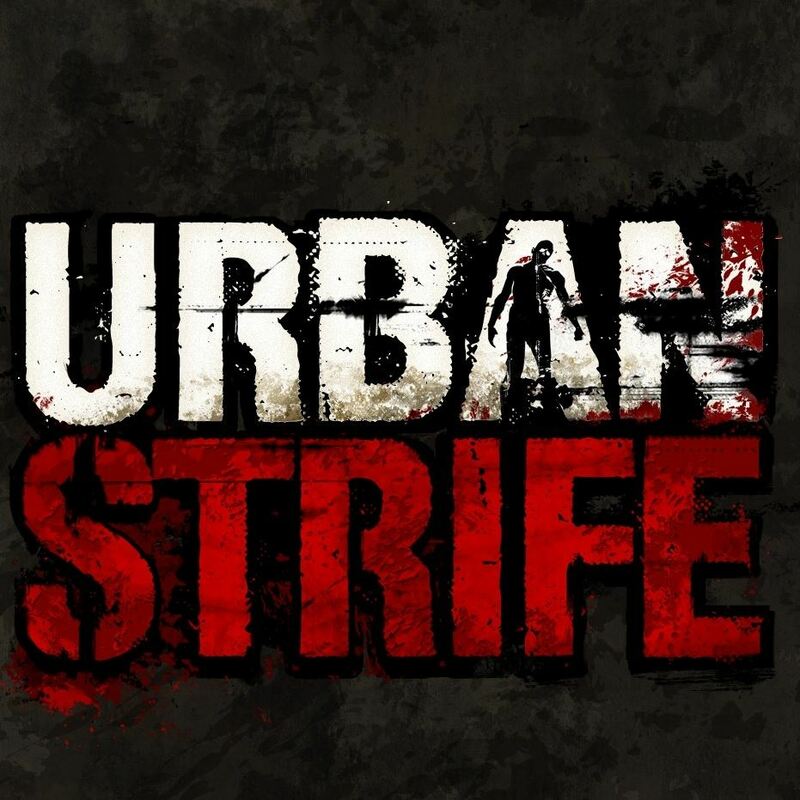 Urban Strife is coming! It's always hard for people to describe themselves. I could say that I'm not a complete idiot just because some parts are still...missing. The truth is that I'm just an old growler who loves to talk about videogames.